Funny story: I actually got this job from my mom. Thanks Mom! She had an Arvest representative visit the business she works at and she gave that representative my business card in case they needed any window cleaning, scratch removal, or hard water staining. It turns out that there 91st and Delaware location had some severe hard water staining. I went out last week to give them a quote for the removal of the hard water staining removal, and was approved to do the job this week. It ended up being a couple hour job, and it turned out fantastic. The general manager at this Arvest branch was thrilled with my work. I did the work on a Sunday when the bank was closed so that I didn’t have to bother any of their customers. The general manager walked into her office Monday morning, and she said she noticed the difference right away. 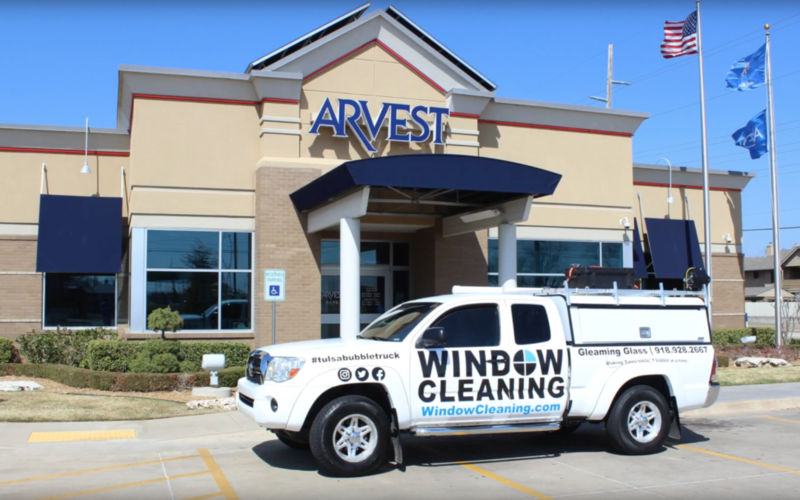 She was also kind enough to say that she would send an email to the Arvest property manager sharing with them just how nice the windows looked without all of the hard water staining, and what a great job we did. Looking forward to doing the hard water staining removal for other Arvest branches in the area. We actually do our banking at Arvest, so any time we’re out on a job and we go to cash the check from that days’ job, we will typically go to whatever Arvest is closest. 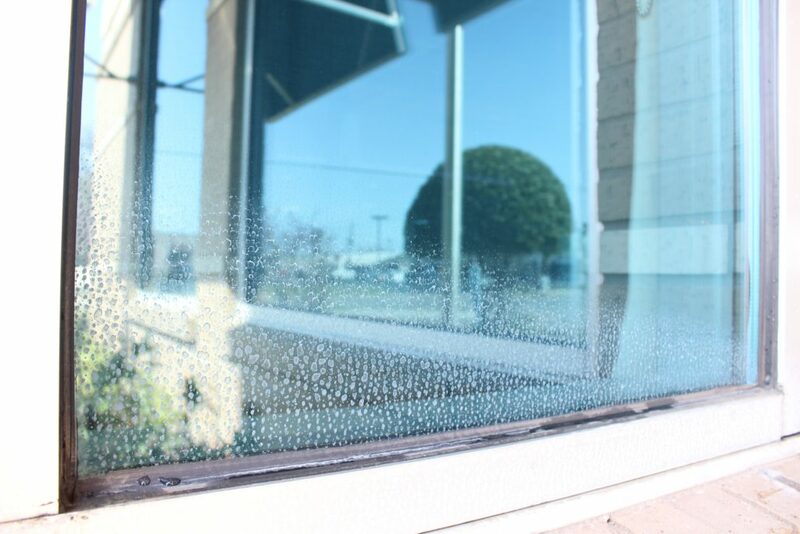 Which is convenient, we can check the glass on our way in and out for hard water staining, and then just let the property manager know about the problem at that location. On a scale of 1 to 10 with 10 being the most severe stains we’ve ever removed, I would rate these things as a 7. There were three areas that couldn’t just be polished out, required sanding of the glass surface to remove the stains. Here’s how this job turned out. They can see clearly out their windows now!